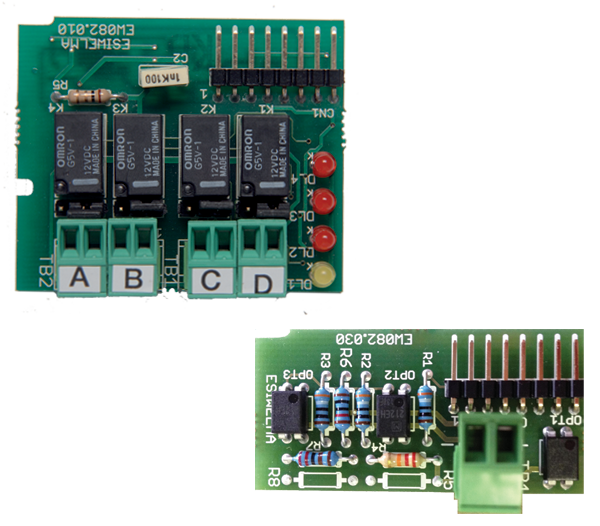 The detectors in the URx20xx family are fitted with 4÷20 mA outlets and with four relay outlets (via optional dedicated card UZR20.4). 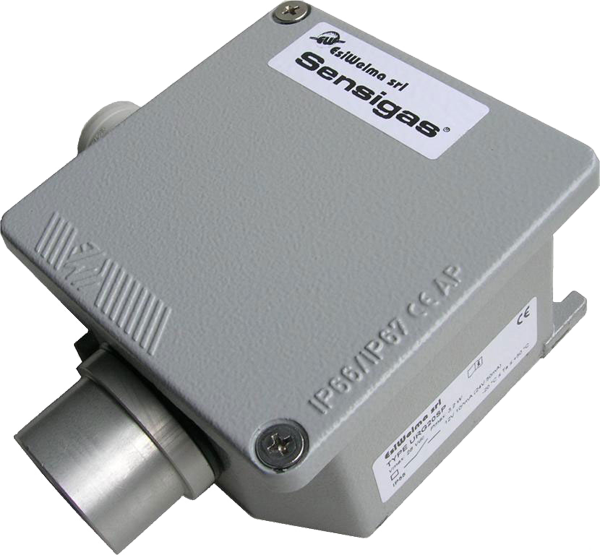 These detectors are used in all autonomous installations when, in addition to the environment monitoring function, it is also necessary to directly trigger devices and/or systems when there is a gas alarm or if it is necessary to interface with surveillance and/or safety systems already in place. 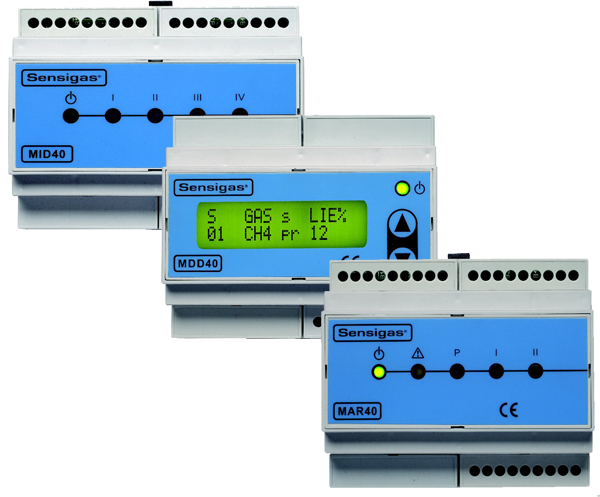 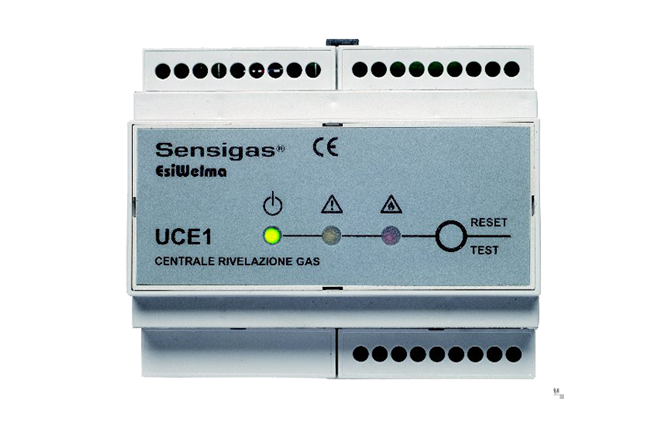 In particular, these detectors can be used in tandem with the UCE1 and UCE4 Control Units. 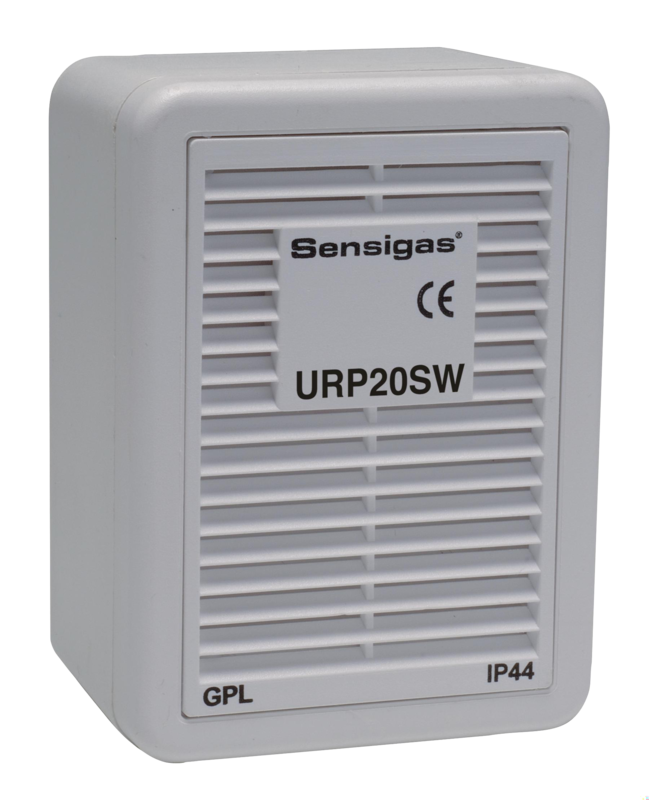 The detectors in the URx40xx family are designed to operate on local data transmission BUS connected with its UCE40 Control Unit in order to set up a surveillance system basically dedicated to detecting gas leaks and to monitoring the local environment. 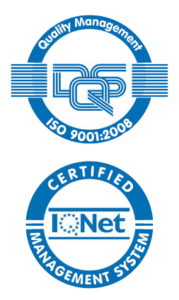 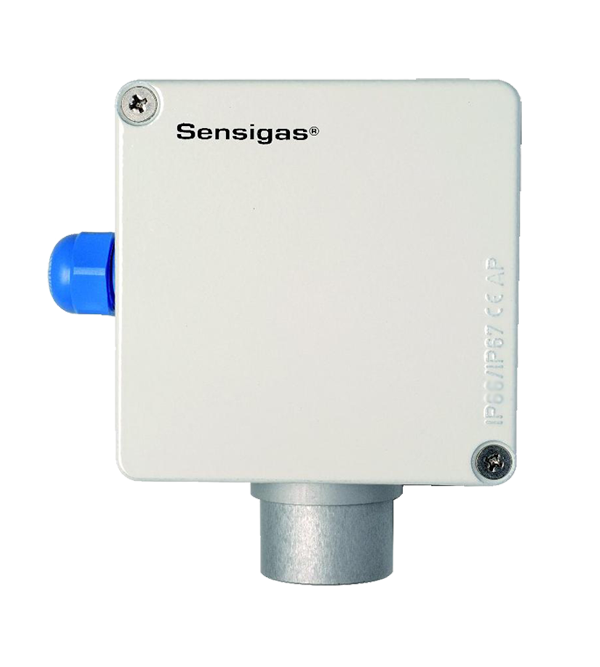 For both ratings, the ambient operating temperature of the detectors is between -20C° and +50°C. 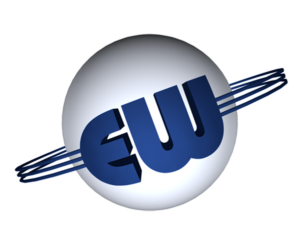 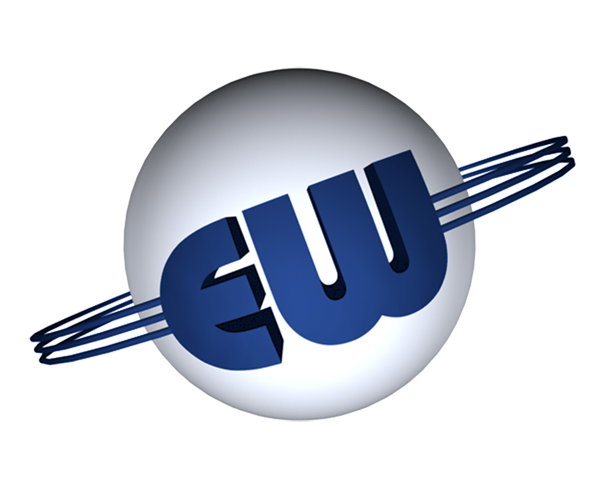 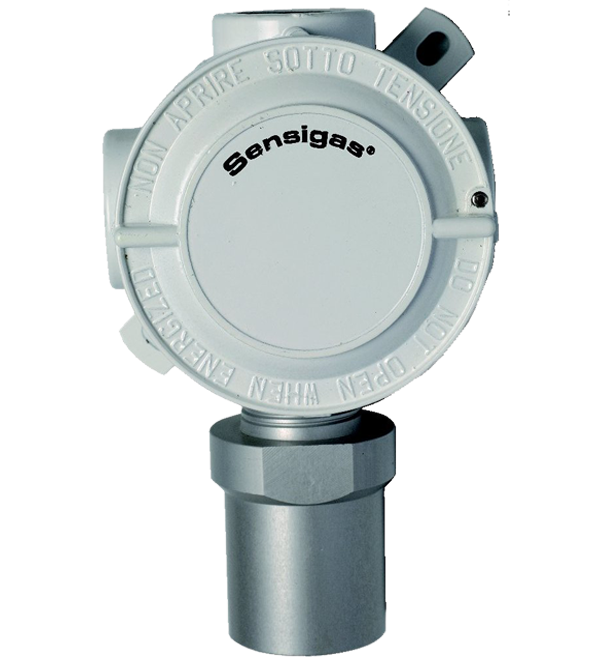 Sensigas is an EsiWelma trademark, registered since 1981. 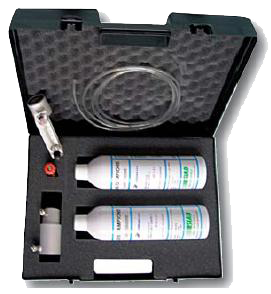 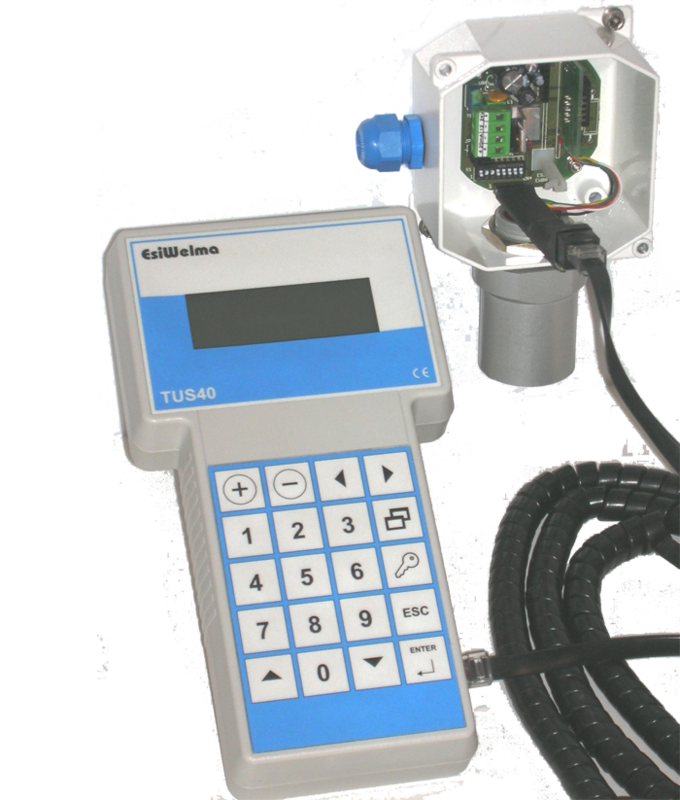 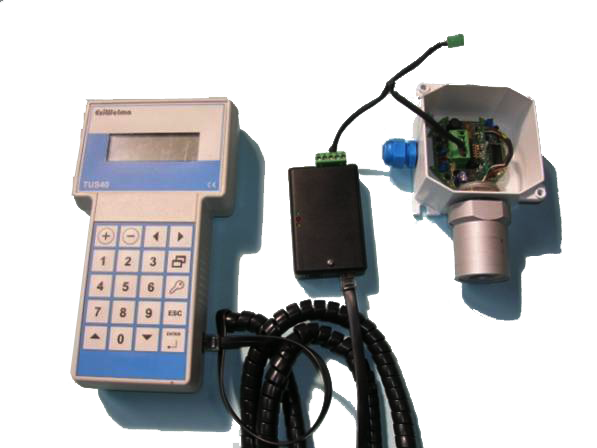 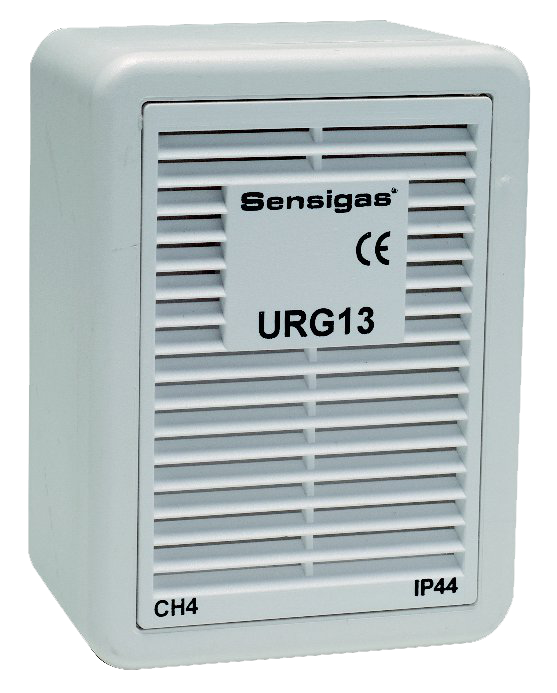 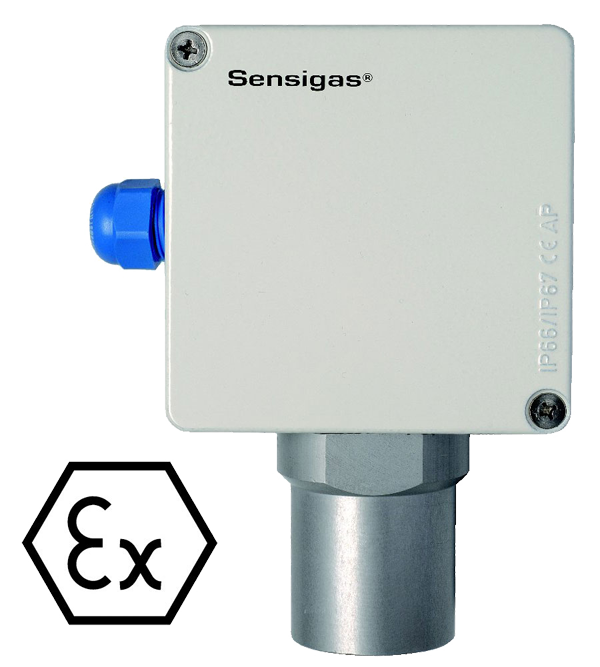 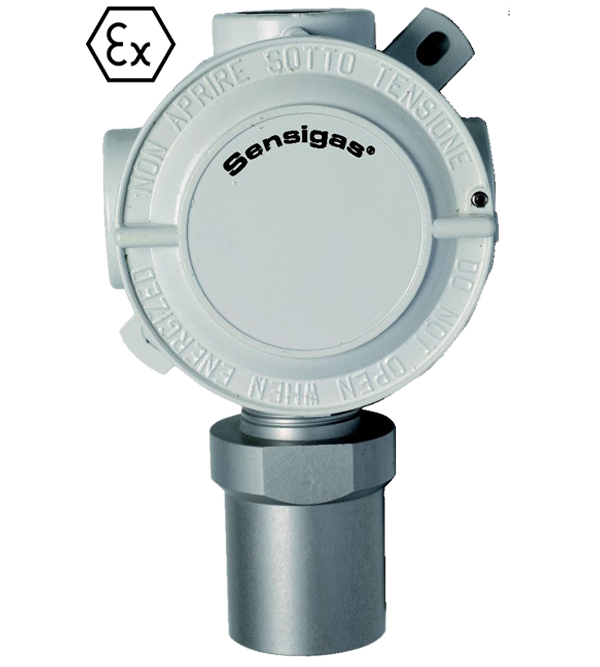 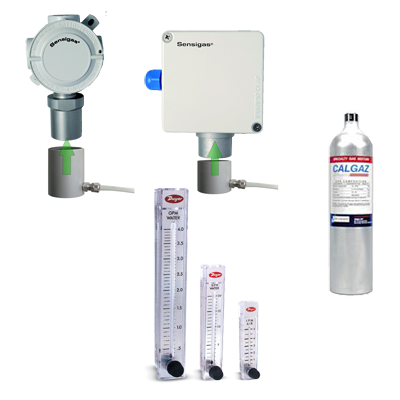 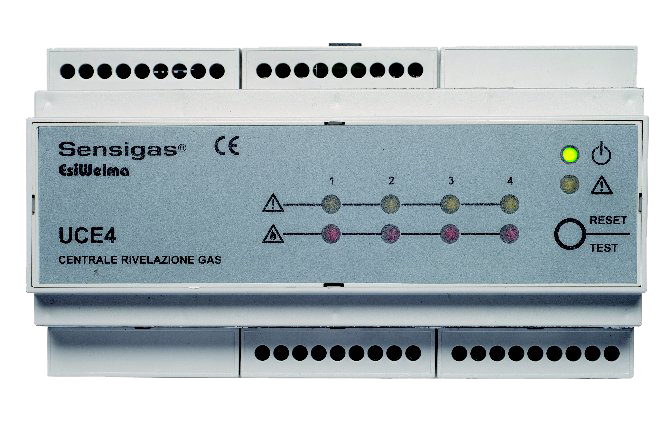 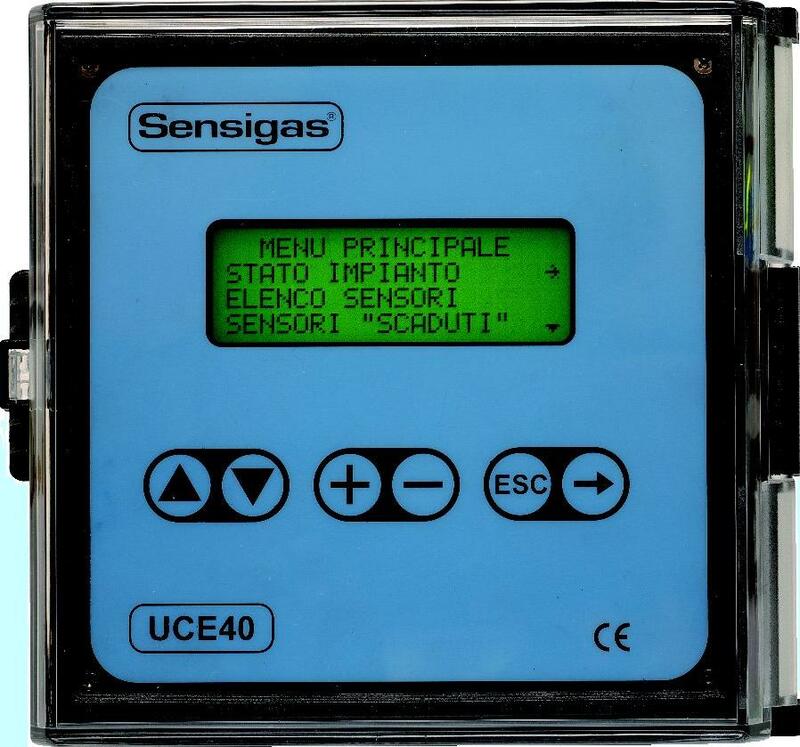 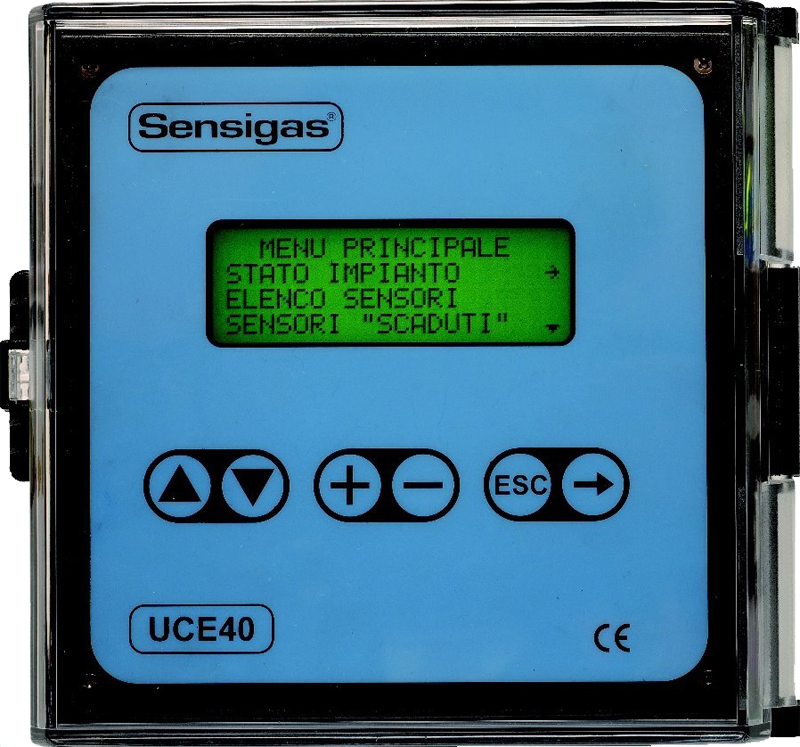 The products in this section can be found in the Sensigas Industrial EW catalogue..
Gas detector for EW40 Bus system for parcking.